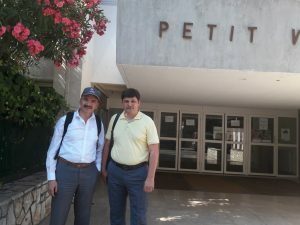 On the 19th and 20th of June at Universite de Nice Sophia Antipolis, France the 4th project meeting was held in the framework of the Erasmus+ , KA2 – Capacity Building in Higher Education project 561820-EPP-1-2015-1-DE-EPPKA2-CBHE-JP Creating Moldovan E-network for promoting innovative e-teaching in the continuing professional education (TEACH ME). 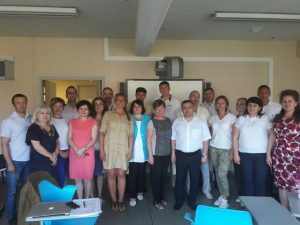 The aims of 4th project meeting were focused on the result analysis for the last half of the year and specification of events and actions for the next six months. WP 7: project management: news & recommendations. The representatives of all institutions – partners of the project from the EU and Moldova attended this event. The visibility of the event was provided through the dissemination of the information through institutional websites and social media channels.